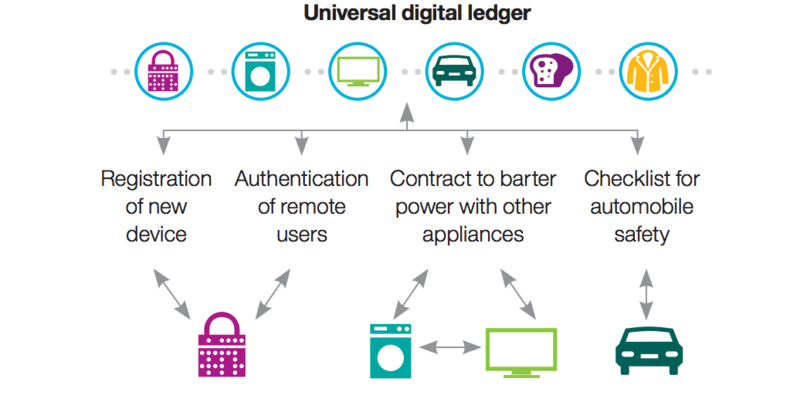 Banking and payments aren’t the only industries that could be affected by blockchain tech. Cybersecurity, music, and auto also could be transformed. Bitcoin’s existence as a decentralized digital currency is made possible by what’s known as blockchain technology, essentially a public ledger that securely and automatically verifies and records a high volume of transactions digitally. Entrepreneurs have come to believe that more industries could be disrupted using this technology. There are plenty of business use cases for transactions that are verified and organized by a decentralized platform that requires no central supervision, even as it remains resistant to fraud. Here are a few of the ways that companies — both large and small — are trying to harness the power of the blockchain. Banks essentially serve as secure storehouses and transfer hubs for value, and blockchain — as a digitized, secure, and tamper-proof ledger — can address the same function. Indeed, Swiss bank UBS and the UK-based Barclays are both experimenting with it as a way to expedite back office functions and settlement. Some in the banking industry even say it could cut up to $20 billion in middle-man costs. Not surprisingly, banks are among the growing number of financial services giants investing in blockchain startups. The company R3 CEV, already has 50 banks in its consortia to develop custom blockchain enabled solutions for the financial industry. A group called Thought Machine has developed Vault OS (pictured above) with private blockchain-style technology and cryptographic ledgers to enable a bank of any age or size to deliver secure end-to-end financial systems. In a recent paper, The World Economic Forum argued that decentralized payments technologies — like bitcoin itself — could transform the “business architecture” for money transfers, which has remained static for the last 100-plus years, according to an article on the WEF paper in Forbes. Blockchain makes it possible to circumvent these clunky systems and create a more direct payment flow that connects payers and payees — across borders or domestically — without intermediaries, at ultra-low fees and almost instant speed. Abra (pictured above) is a startup using blockchain technology for global bitcoin- and blockchain-based money transfers. Though blockchain’s ledger is public, the data communications are verified and sent using advance cryptographic techniques. This ensures that the data is from the correct sources and that nothing is intercepted in the interim. If blockchain tech is more widely adopted, the probability of hacking could go down, as blockchain is believed to be more robust than many legacy systems. One way it reduces conventional cybersecurity risk is simply by removing the need for virtually all human intermediaries. “By removing the need for a middle man one lowers the potential security concerns from hacking to corruption,” writes Goldman Sachs. Guardtime (pictured above) is an Estonian startup focused on a blockchain-based approach to industrial-grade cybersecurity. The Holbertson School, a California-based software skills program, announced it would use blockchain technology to authenticate academic certificates. This will ensure that students claiming they passed courses at the Holbertson School aren’t using accreditation they didn’t earn. If more schools began adopting transparent academic certificates, transcripts, and diplomas, fraud of this kind could more easily be combatted, not to mention the time- and cost-savings from avoiding manual checks and paper documents. Elections require authentication of voters’ identity, secure record keeping to track votes, and trusted tallies to determine the winner. Blockchains can serve as the medium for casting, tracking and counting votes so that there is never a question of voter-fraud, lost records, or fowl-play. By casting votes as transactions within the blockchain, voters can agree on the final count because they can count the votes themselves, and because of the blockchain audit trail, they can verify that no votes were changed or removed, and no illegitimate votes were added. Follow My Vote is in the midst of a Kickstarter campaign to help fund its ambition for an end to end verifiable online voting system. 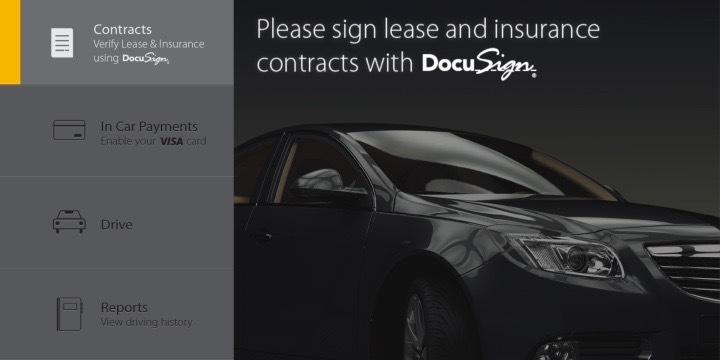 Visa and DocuSign unveiled a partnership late last year that used blockchain to build a proof-of-concept for streamlining car leasing, and making it into a “click, sign, and drive” process. The prospective customer chooses the car they want to lease and the transaction is entered on the blockchain’s public ledger; then, from the driver’s seat, the customer signs a lease agreement and an insurance policy, and the blockchain is updated with that information as well. It’s not a stretch to imagine that a process of this type might be developed for car sales and car registration as well. IBM and Samsung have been working on a concept known as ADEPT, which uses blockchain-type technology to form the backbone of a decentralized network of IoT devices. With ADEPT, which stands for Autonomous Decentralized Peer-to-Peer Telemetry, a blockchain would serve as a public ledger for a massive amount of devices, which would no longer need a central hub to mediate communication between them, according to CoinDesk. Without a central control system to identify one another, the devices would be able to communicate with one another autonomously to manage software updates, bugs, or energy management (image credit: IBM). Others are also looking to build blockchain technology into an IoT platform. For example, Filament, a company that builds a decentralized network using the blockchain (among other things) for sensors to communicate with each other, raised a $5M Series A, with both Verizon Ventures’ and Samsung Ventures’ participation. Many music artists are turning to the blockchain as a way to make online music sharing fairer. Three companies are trying to solve this and other problems by making for more direct payments to the artists and using smart contracts to automatically solve licensing issues, reports Biilboard. PeerTracks, which is still in development, aims to offer a music streaming platform that lets users listen to music and use the blockchain to directly pay the artists with no intermediary. The platform also hopes to create more direct engagement between artists and customers. Mycelia, founded by Grammy-winning artist Imogen Heap, develops intelligent songs with smart contracts built in. The blockchain enabled contracts let artists to sell directly to fans without going through a record label. Ujo Music (pictured above), which says it is rebuilding the music industry on the blockchain, is spearheaded by entrepreneur Phil Barry. It also hopes to solve the problem of streaming music and paying artists. Beyond streaming, Ujo is envisioned as a way to better catalog which artists and creators are behind which songs; also using smart contracts as the autonomous brains behind the listings. Ride apps like Uber seem to be the opposite of decentralization — that is, one company acting as a dispatching hub and using its algorithms to control its fleet of drivers and what they charge. Israeli startup La’Zooz (pictured above) wants to be the “anti-Uber,” according to Bloomberg. It makes its own proprietary digital currency — like bitcoin — which is recorded digitally using blockchain technology. Instead of using a centralized network to call cabs, people use La’Zooz by finding other people traveling similar routes and exchanging coins for the rides. These coins can then be used for future rides. Users earn (or “mine”) these coins by letting the app track their locations. For years companies have worked to ease the process of buying, selling, and trading stocks, and new blockchain-focused startups think they can automate and secure the process more efficiently than any past solution. 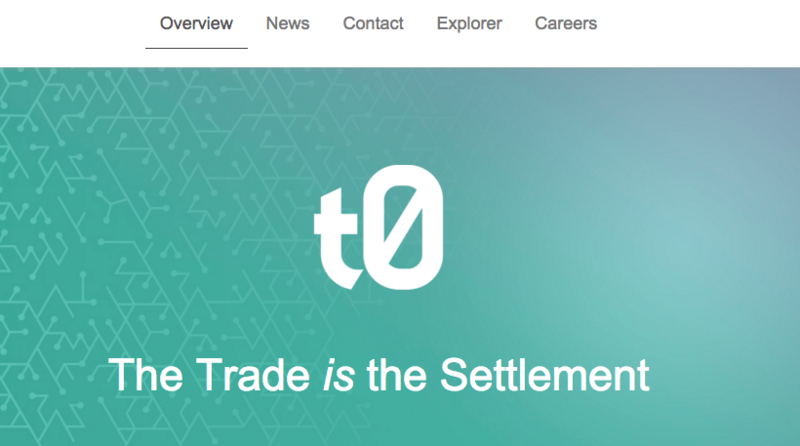 TØ.com, which is a subsidiary of Overstock, wants to enable stock transactions online using blockchain tech. Overstock has already used blockchain to issue private bonds, but now the SEC has approved TØ.com to issue public bonds, reports Wired. Blockchain startup Chain (mentioned below), meanwhile, is working with Nasdaq to enable the trading of shares in private companies through a blockchain. Pain points for buying and selling property include: a lack of transparency during and after transactions, copious amounts of paperwork, possible fraud, and errors in public records to name just a few. Blockchain offers a way to reduce the need for paper-based record keeping and speed up transactions. Real estate blockchain applications can help record, track, and transfer land titles, property deeds, liens etc. and helps ensure the documents are accurate and verifiable. Ubitquity (pictured above), offers a platform for financial institutions, title, and mortgage companies and aims to secure documents, while enhancing transparency and reducing costs. The company’s alpha release will be available summer 2016. Companies like AirBnB, Tujia, Wimdu and others provide a way for people to temporarily exchange assets— including private homes — for value. The problem is that it is nearly impossible to insure your assets on these platforms. Together with blockchain startup Stratumn (pictured above), professional services firm Deloitte and payment services provider Lemonway recently unveiled a blockchain-enabled solution called LenderBot. It is a micro-insurance proof of concept for the sharing economy and demonstrates the potential for blockchain applications and services in the industry. LenderBot allows people to enroll in customized micro-insurance by chatting through Facebook Messenger. The goal is to insure high-value items exchanged between individuals and with the blockchain serving as the third-party in the loan contract. Healthcare institutions suffer from an inability to securely share data across platforms. Better data collaboration between providers means higher probability of accurate diagnoses, higher likelihood of effective treatments, and the overall increased ability of healthcare systems to deliver cost-effective care. Blockchains can allow hospitals, payers, and other parties in the healthcare value-chain to share access to their networks without compromising data security and integrity. The startup Gem (pictured above) launched the Gem Health Network— which offers an Ethereum blockchain-enabled platform with multi-signature and multi-factor authentication tech — to create a secure universal data infrastructure. Tierion is another blockchain startup that has built a platform for data storage and verification in healthcare. Gem and Tierion have both recently partnered with Philips Healthcare in the Philips Blockchain Lab. One of the most universally applicable aspects of blockchain technology is that it enables more secure and transparent monitoring of transactions. Supply chains are basically a series of transaction nodes that link to move products from point A to the point-of-sale or final deployment. With blockchain, as products change hands across a supply chain from manufacture to sale, the transactions can be documented in a permanent decentralized record — reducing time delays, added costs, and human errors. 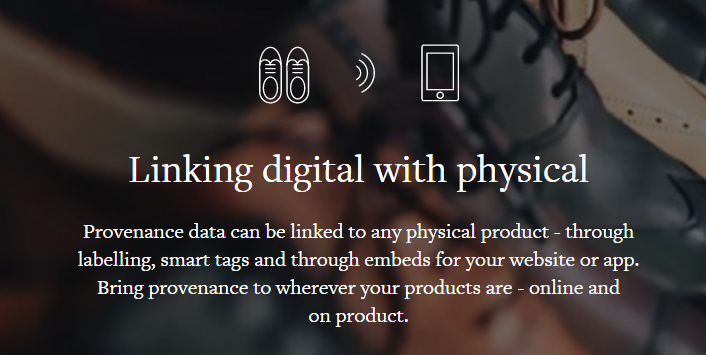 Several blockchain startups are jumping into this sector: Provenance (pictured above) is building a traceability system for materials and products, Fluent offers an alternative platform for lending into global supply chains, and Skuchain builds blockchain-based products for the business-to-business trade and supply-chain finance market. Enterprises that offer cloud storage often secure customers’ data in a centralized server which can mean increased network vulnerability from attacks by hackers. Blockchain cloud storage solutions allow storage to be decentralized, and therefore less prone to attacks that can cause systemic damage and widespread data loss. Storj (pictured above) is beta-testing a blockchain-enabled cloud storage network to improve security and lower the transaction costs of storing information in the cloud. Storj users can also rent out their unused digital storage space potentially creating a new market for crowdsourced cloud storage capacity. Energy management is another industry that has historically been highly centralized. In the US, to transact in energy you have to go through a trusted power holding company like Duke Energy, or National Grid in the UK, or deal with a re-seller that buys from a big electricity company. Startups like Transactive Grid (pictured above) — a joint venture between LO3 Energy and Brooklyn-based Ethereum outfit Consensys — offer Ethereum blockchain technology that enables customers to transact in decentralized energy generation schemes, and effectively allows people to generate, buy, and sell energy to their neighbors. LO3 Energy also has projects that include Brooklyn Microgrid, and Project Exergy, the latter being a proof-of-concept for harnessing excess-heat expelled by computers. Investing in athletes has generally been the purview of sports management agencies and corporations, but blockchain could decentralize the process of funding athletes by democratizing fans’ ability to have a financial stake in the future of tomorrow’s sports stars. The concept of using blockchain to invest in athletes with returns has not been tried on any significant scale. 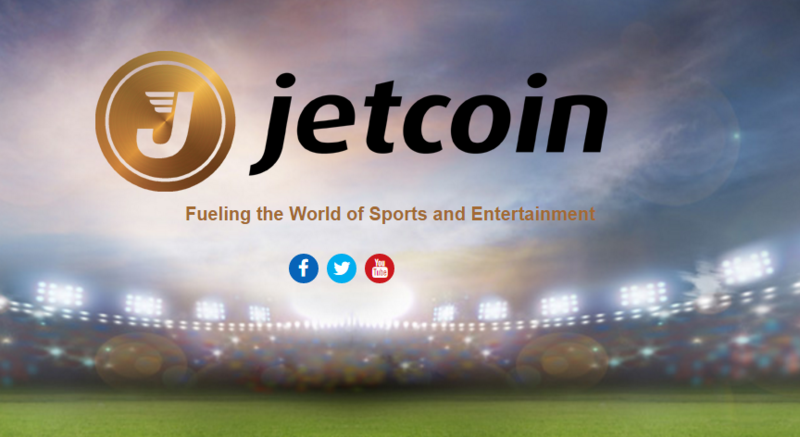 However, at least one organization, The Jetcoin Institute, has promoted the idea of cybercurrency (in this case, “Jetcoins”) with which fans can invest in their favorite athletes, and later the opportunity to receive a portion of the athlete’s future earnings, as well as VIP events and seat upgrades, etc. Jetcoin has experimented with this approach in a partnership with the Hellas Verona soccer team in Italy. Blockchains can help retailers that offer gift cards and loyalty programs make those systems cheaper and more secure. With fewer middle-men needed to process the issuing of cards and sales transactions, the process of acquiring and using blockchain-reliant gift cards is more efficient and cost effective. Similarly, increased levels of fraud prevention enabled by the blockchain’s unique verification capability also save costs and help prohibit illegitimate users from obtaining stolen accounts. Gyft, an online platform for buying, sending and redeeming gift cards that is owned by First Data, has partnered with blockchain infrastructure provider Chain (pictured above) to run gift cards for thousands of small businesses on the blockchain — the new program is called Gyft Block. The distribution of aid and welfare is one area where blockchain can help streamline and secure public governance. The company GovCoin Systems Limited is a London-headquartered financial technology company supporting the UK government in the distribution of benefits.